I like to travel. We don't do it very often because that's life. I think there are a lot of people who can say the same. But couples like traveling, and engaged couples are probably planning a honeymoon. 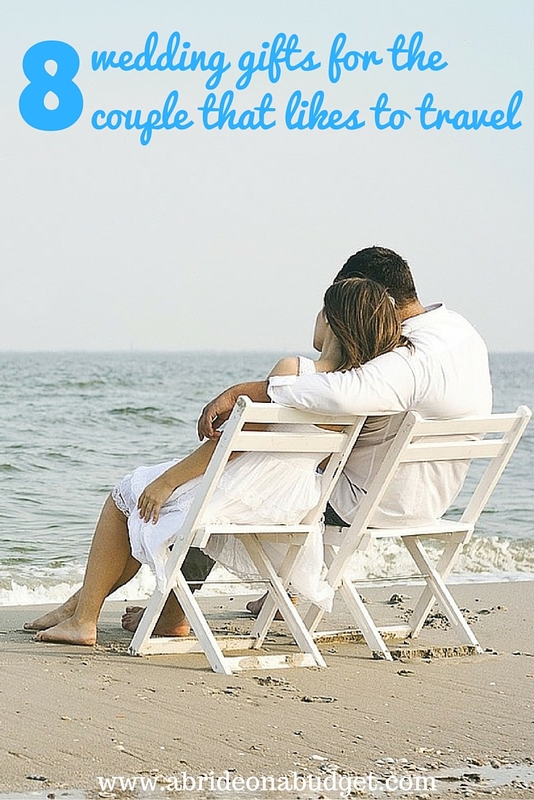 So, if you are looking for wedding gifts for the couple that likes to travel, you're in luck. I have five really great gift ideas for you to pick from. These aren't travel themed gift ideas. That would be an entirely different list. Instead, this is more of a list of gifts for traveling couples, gifts that they can use on their travels. Luggage tags are necessary when you're traveling. 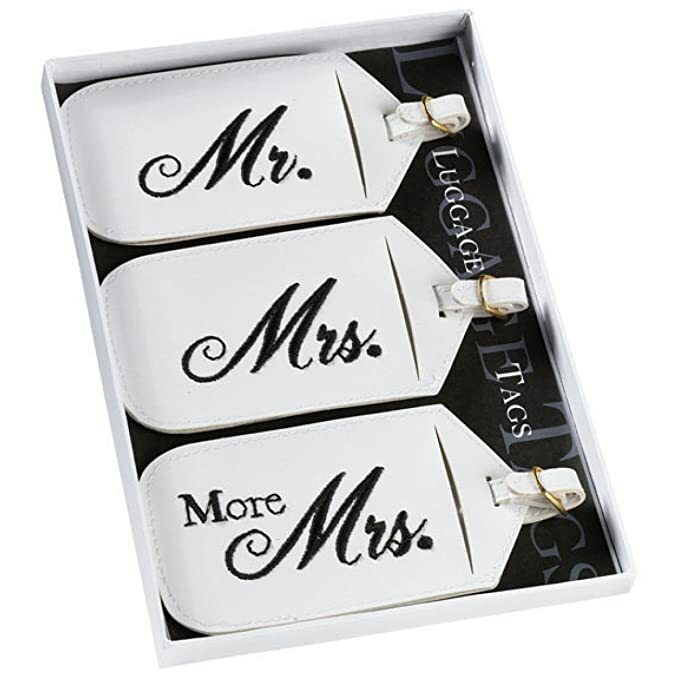 I mean, sure, you could pick up the paper one when you check in at the airport, but that's not nearly as fun as this Mr. & Mrs. luggage tag set. I actually had personalized Just Married luggage tags made for us with our wedding date on them. I also had coordinating luggage handle wraps made as well. Either route, luggage tags are a great gift idea. I'm a big fan of passport covers. They're something that is so useful, but people just never think to buy them for themselves. 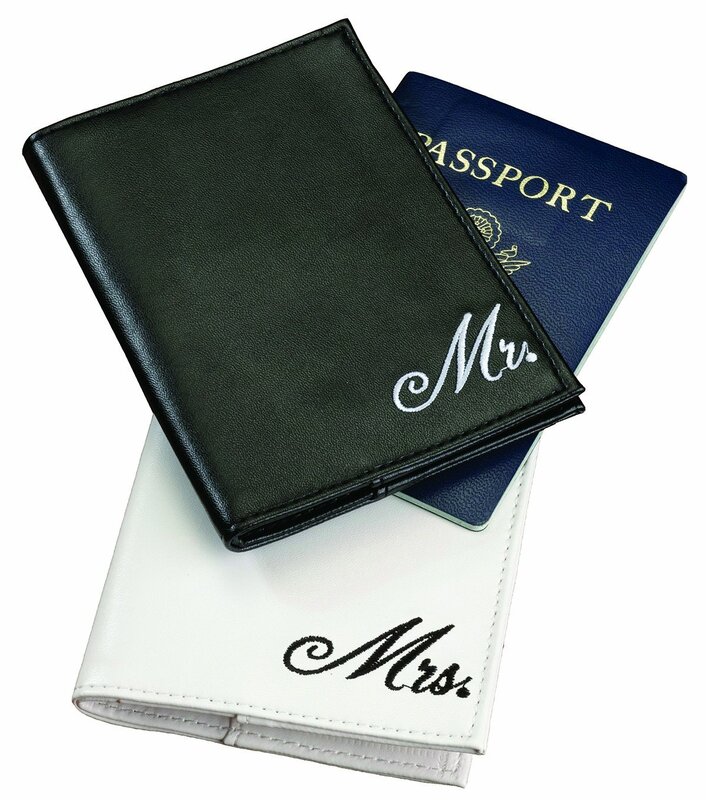 So definitely pick up these Mr. & Mrs. passport covers. What's great about them is in one review, someone gave these to a couple as a gift and every time they pulled them out at a new hotel on their honeymoon, they were upgraded or given a treat. Now, that won't happen all the time, but it's a good way to mention you're on your honeymoon. I don't journal enough. I used to, but I don't anymore. It's such a great thing to do when you're on your adventures, though. 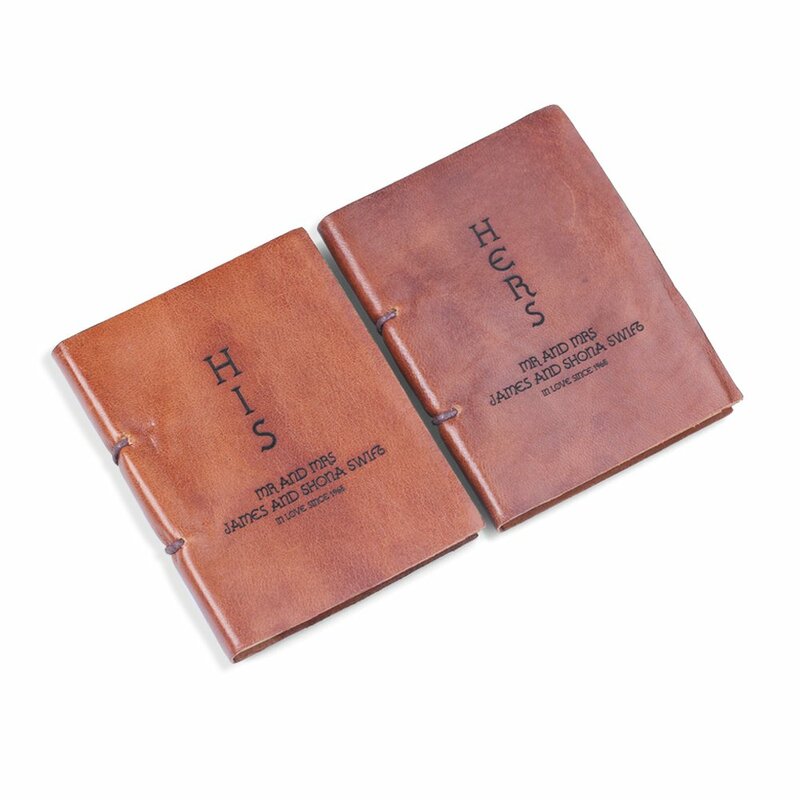 If you know a couple that would love to journal its adventures, this His & Hers leather journal set is perfect. What's even better is you can have them engraved. You can choose what they say and the font type too, making them even more personal. Marriage is an adventure. So is traveling. 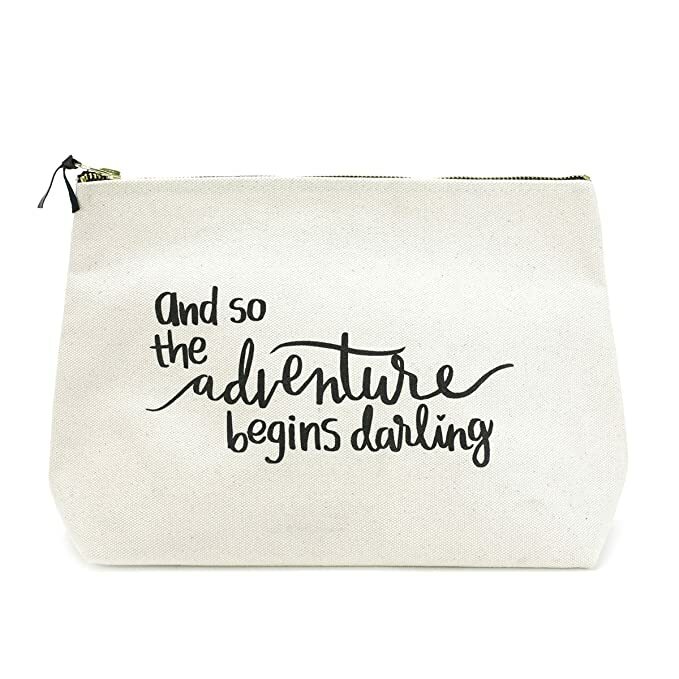 So how perfect is this "And So The Adventure Begins Darling" travel makeup bag? It comes in a few other quotes too, like "Just Love" and "Follow Your Heart", but this one is my favorite. Even better, it comes with a matching tote too. Before I travel, I need to make coffee. It has to be in my hand as I'm walking out the door. If not, I will just fall asleep in the car and that's not the best way to start a trip. Instead, pick up the Mr. & Mrs. 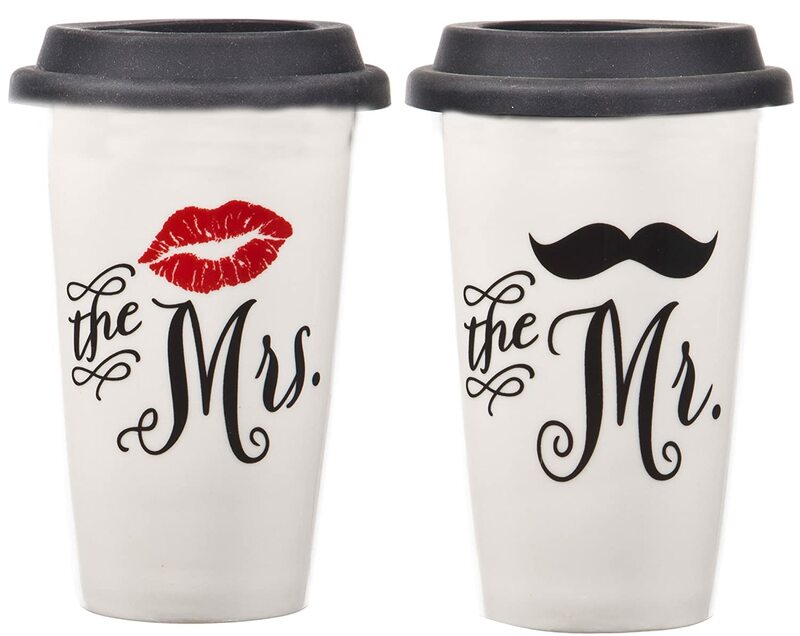 Double Wall Mugs and your friends can start off their honeymoon in style (plus, they'll know which coffee belongs to who!). And, if you get a refill with these, many coffeeshops will offer discounts. Any money you can save is great! I wanted these flip flops as a gift, and I think I even hinted at them, and yet no one bought us these Just Married flip flops for bride and groom. They would have been perfect for our beach wedding. 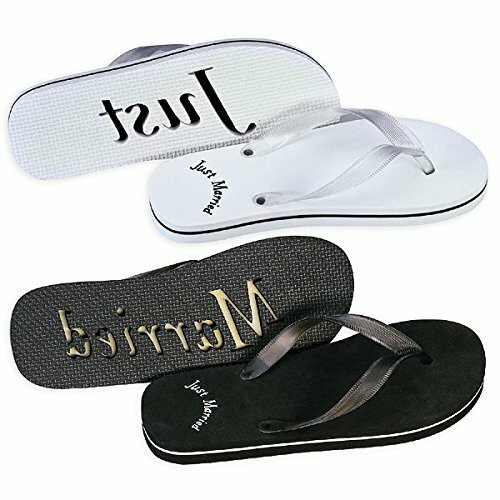 You walk in them and they leave the words "Just Married" imprinted in the sand. So. Cute. And perfect if your gift recipient is honeymooning at the beach. A carry on is so important when you're traveling. You definitely need to put your toothbrush, some undergarments, and a few other necessities in there in case your luggage gets lost. 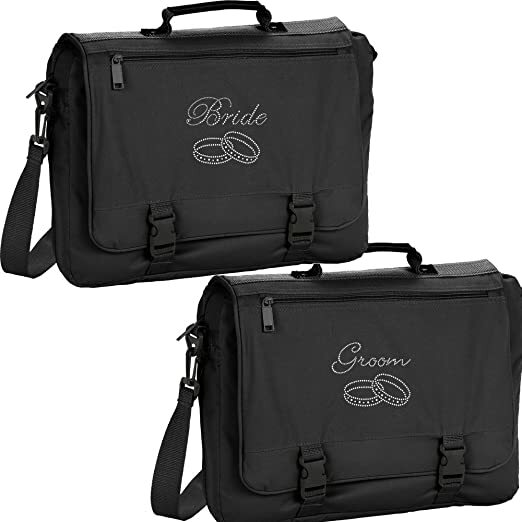 So this set of bride and groom carry on bags are great for the honeymooners. Plus, the matching set comes together, so that's sweet. I wanted so badly to add luggage to our wedding registry, but all the sets I found weren't spinner sets. And if they were, they were so expensive. 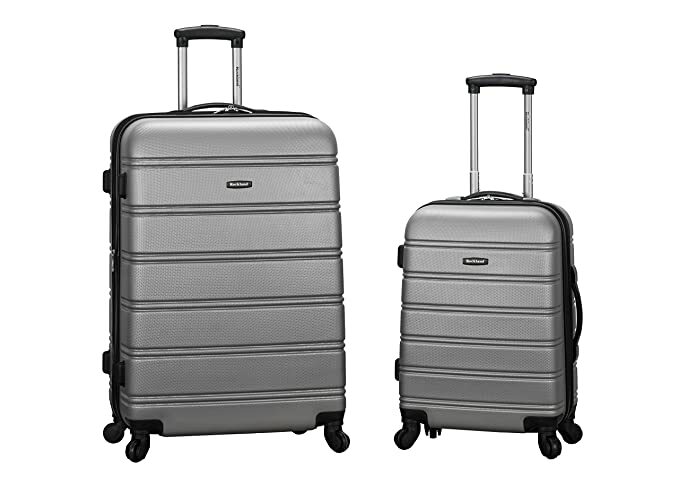 I was so super stoked when I found this Rockland Luggage 2 piece expandable spinner set. I took it to Japan and back, Pete took the small one to New York and used it as a carry on, we featured it in this post, and the set is great even for weekend trips. Your engaged friends will love the gift. BRIDAL BABBLE: Which of these wedding gifts for the couple that likes to travel would you like to receive?